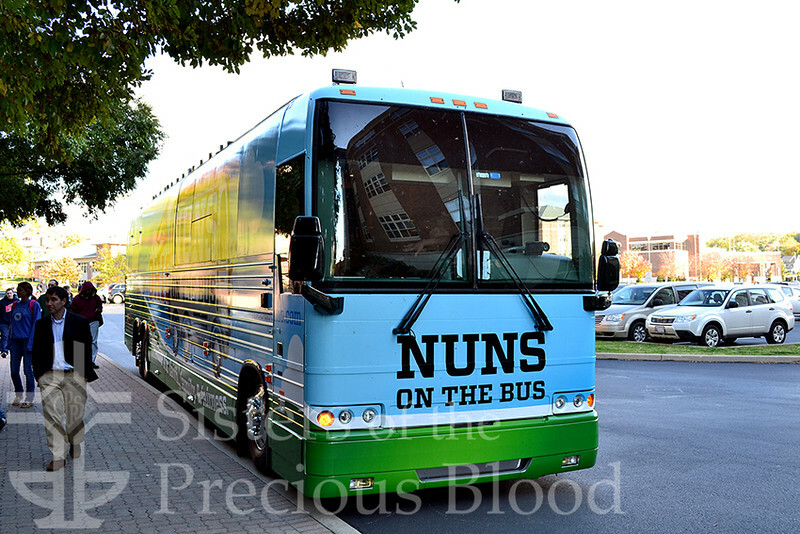 The Sisters headlined a rally for Nuns on the Bus Ohio at University of Dayton on October 11, 2012. Photos by Dave Eck. The Nuns on the Bus Ohio tour pulls up to the University of Dayton on Oct. 11 for a rally.